A while ago I reviewed a French leaning app from StudyCat, It is a fun game-like app helping kids learn vocabulary in French. StudyCat also has a Spanish app with similar structure. 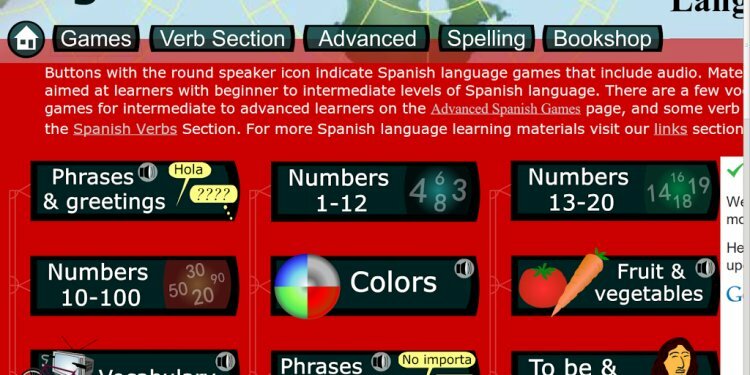 If you are looking for a Spanish language app for young children that let kids play fun games to learn Spanish, this is the one you definitely want to check out. They have a free version with 2 full lessons free on Apple devices and 1 lesson free on Android. What I like about this app the most is the game playing style. It is almost like a natural language acquisition process. Kids start with listening to those words while playing game, like the color matching game. The app will not show the words to kids like flashcard. Instead they have kids play color matching games. While playing the game, kids match the cards with the same color, and each time they touch a card, they hear the word for that color said aloud to them, no matter they pick the right card or not. In fact, the more picks taking them to get the correct match, the more times they hear the words. Of course, if they want to be able to pick the right pair, they do need work on remembering the words for each color, in addition to the locations of the cards. We all know it is better to start a new language at an early age. But it is hard to find good resources for toddlers and preschoolers, especially if you don’t speak the language yourself. Fun Spanish Course by Studycat is a good language learning tool that will work well with young children. As it is said on the company’s website, it is designed for kids age 3 to 10. Since the learning is designed almost like natural language acquisition process, like how we learn our first language, it does work with younger kids better than with adults, although I did enjoy the app too and have already learned quite a few new words. There are 10 lessons in the app: Colors, Animals, Numbers, The Body, Fruits, Food, Clothes, Vehicles, The House, Sea Animals. Each lesson has at least 5 different games to help kids learn the words, and the games for each lesson are different. Kids will never get bored with Fun Spanish Course. Fun Spanish Course is available for iPhone, iPod and iPad, as well as Android. The first App Store link is for the free version. The 2nd is for full version, which is $12.